Patrol leader Master Corporal Tommy Aiyout surveys a deactivated Distant Early Warning Line site—one of several radar stations established along the Arctic coastline during the Cold War. 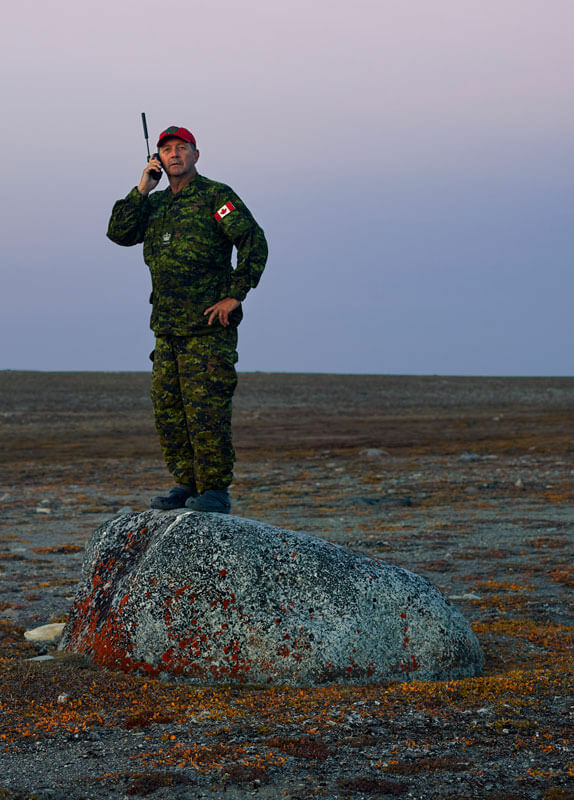 Ranger instructor Warrant Officer Woody Keeping uses a satellite phone to maintain contact with headquarters in Yellowknife. When I was eighteen and going through my training with the armed forces, I travelled to Gjoa Haven, Nunavut, to learn survival skills from a unit of the Canadian Rangers. It was my first encounter with the military branch, which is made up of 5,000 part-time members, many of whom are Indigenous, spread out across more than 200 communities in remote regions of Canada. The ­Rangers are often tasked with teaching southern military units traditional survival skills: they give instruction on how to hunt, fish, and trap game and how to build ­shelters in harsh environments. They also share their expertise in ­tracking and land navigation. 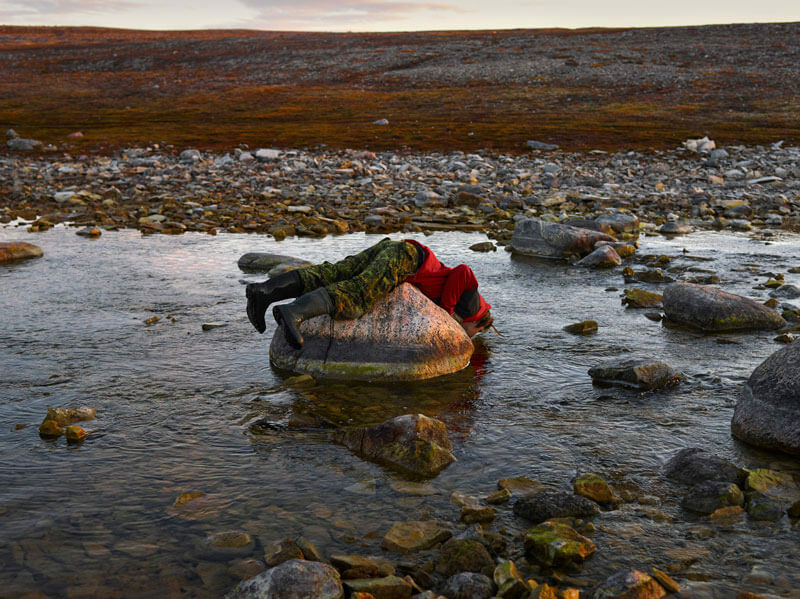 In the summer of 2017, I returned to the Arctic, this time as a photo­grapher, and spent two weeks with the Rangers. 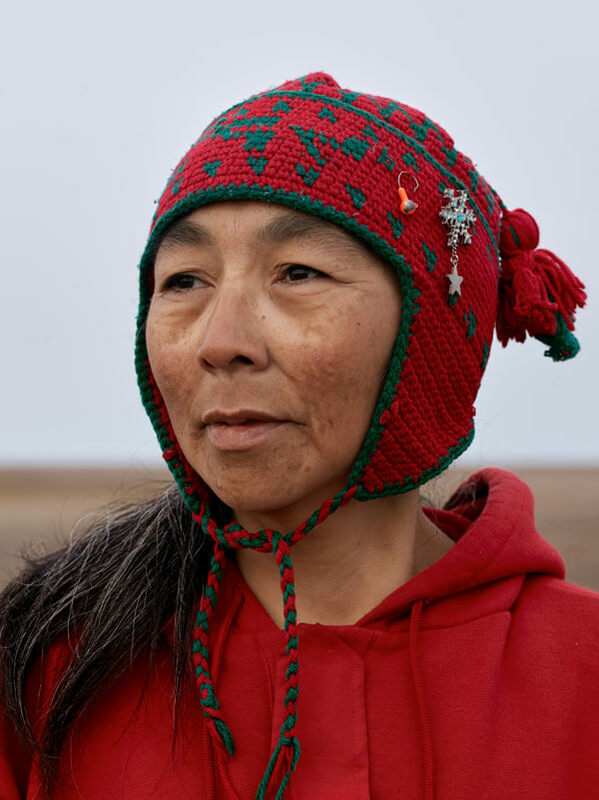 I tagged along for a patrol on and around King ­William Island, near the community of Taloyoak, Nunavut. The patrol was originally meant to last five days, but bad ­weather forced us to continue on for ­another four. 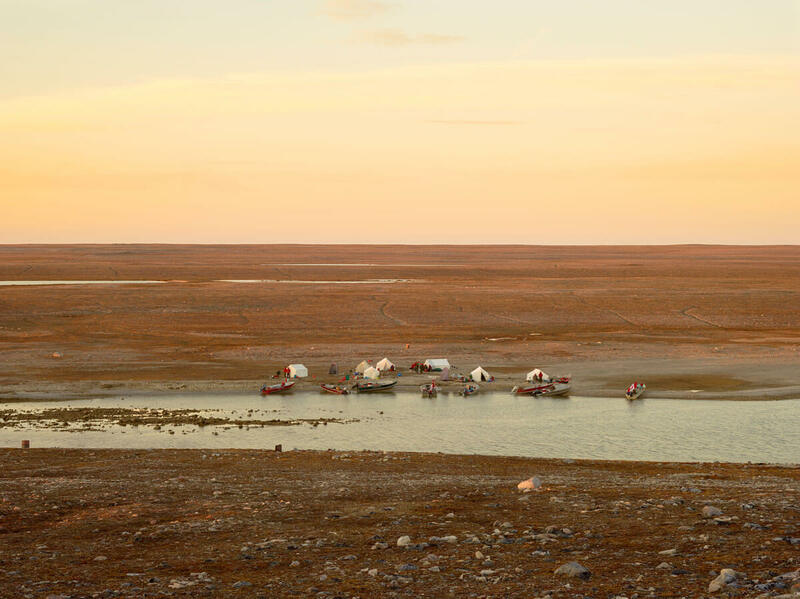 As our supplies thinned, the Rangers replenished our water from natural streams and hunted caribou for food. Top: A camp set up by the Taloyoak Ranger Patrol near the mouth of a freshwater stream along Simpson Strait. Left: Ranger Keith Poodlat drinks from a stream at Malerualik Lake. Above: Rangers boating in Rae Strait off the east coast of King William Island. Originally formed to monitor the country’s northern and Pacific coasts during the Second World War, the ­Rangers now operate from the Atlantic to the ­Pacific, as far north as Ellesmere Island in Nunavut and as far south as Hearst, Ontario. Though their early mandate focused on protecting Canada’s Arctic sovereignty from neighbouring nations such as the United States and Russia, it has since expanded. Because many Rangers live in the communities they serve, they often become first responders in places where other help is not always close by. 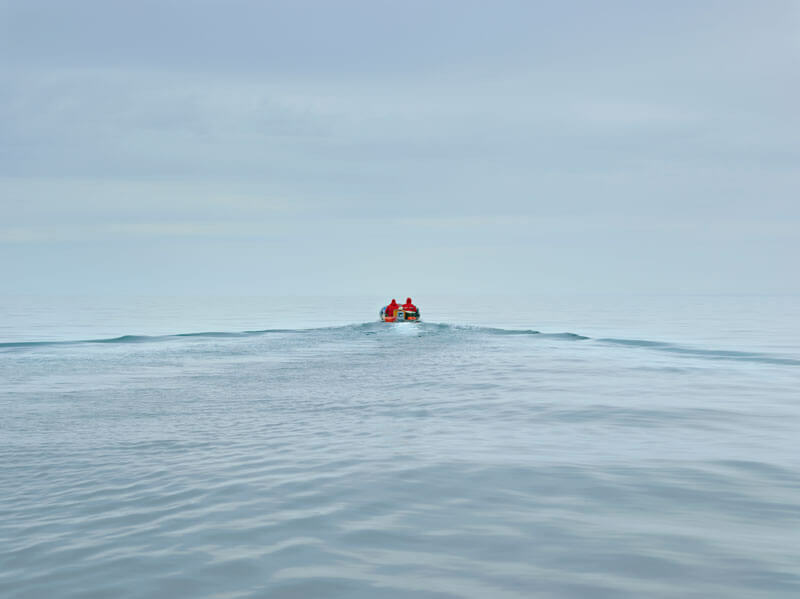 Ranger patrol traveling on Rae Strait on the way to King William Island. Rangers are called upon to respond ­after avalanches and forest fires, missing-­persons cases and airplane crashes. In June 2017, the Wapekeka First Nation was one of several northern Ontario communities to declare a state of emergency following a ­series of youth suicides. ­Rangers organized on-the-land activities with youth, teaching them to pitch tents, build fires, and catch fish. Last spring, Rangers helped evacuate Kashechewan First Nation residents in northern Ontario amid fears that the nearby ­river would flood due to ice jams. 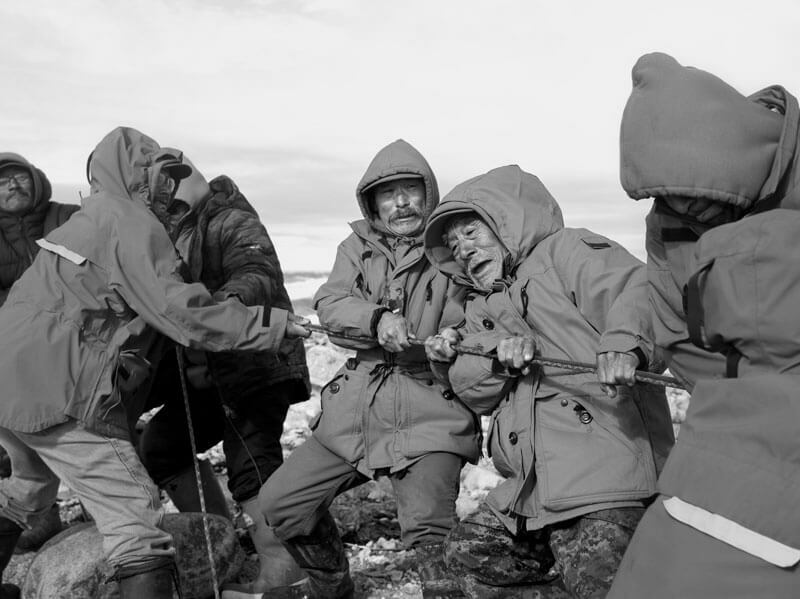 Top: At Ujarasugjuligaarjuk Point, Rangers help pull a boat ashore after a severe storm. 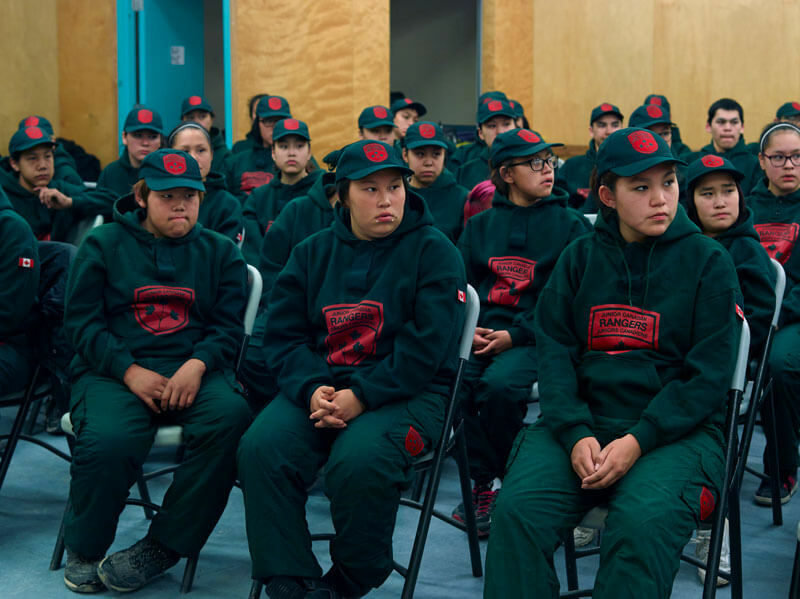 Left: Junior Canadian Rangers attend a ceremony at the Taloyoak community centre. 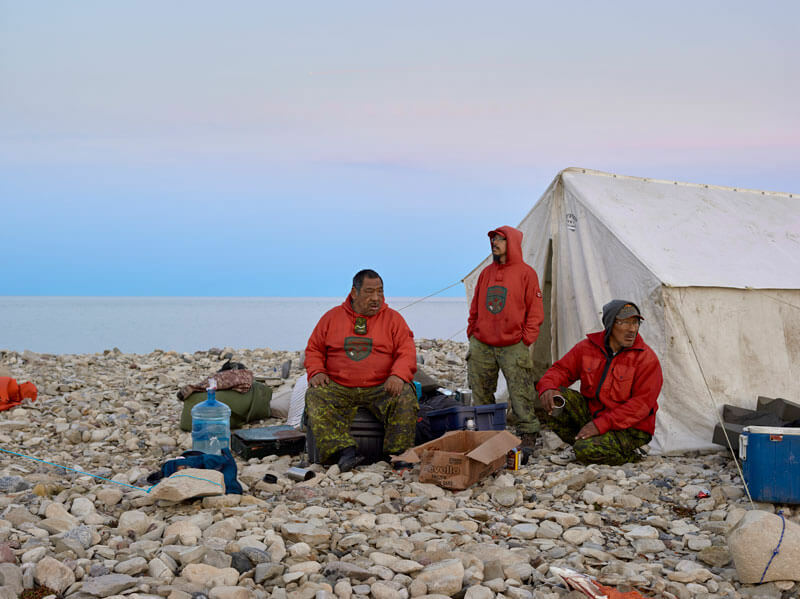 Above: From left to right, Ranger John Ukuqtunnuaq, Ranger Steven Ukuqtunnuaq and Ranger Simon Tucktoo rest at a base camp. Unlike with other military units, there is no mandatory retirement age for ­Rangers, and many choose to stay in service until they are no longer able to perform their duties. As the physical landscape in the North changes due to shifting ­climates, the Rangers’ knowledge has become more important than ever. Rising ocean and air temperatures are contributing to sea ice loss, and there is increasing international interest in the contested Northwest Passage, where ­Arctic nations are competing for control over shipping routes and reserves of oil and gas. The Rangers of today participate in and support surveillance patrols and provide status reports to military command in the south. Maybe most important, they preserve essential knowledge about how to live off the land. Philip Cheung’s next exhibit, on the Canadian Rangers, is showing at Toronto’s Circuit Gallery. Could Nunatsiavut Be a Model for Reconciliation?